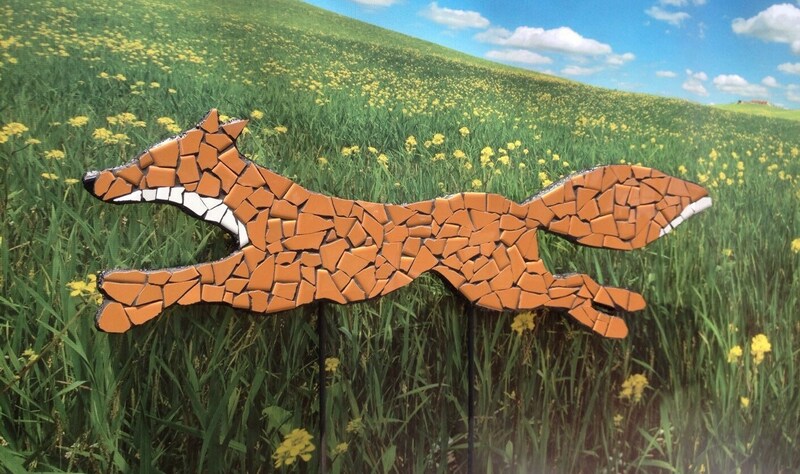 Tile red fox is a one of a kind yard sculpture, designed to bring the wild outdoors into your property setting. The fox is 2 1/2 feet long mounted on 2 steel post and weighs 15 lbs. It is made of glazed ceramic tile, dense foam core and a wooden back. The foam makes it light and also more durable than other outdoor sculptures. The wood is to strengthen the foam and to allow for the mounting brackets. 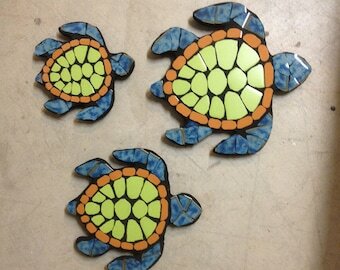 I use epoxy grout to seal the tile from weather and marine epoxy to seal the wood. The fox is such a graceful and fun little animal that is often considered a guest of a neighborhood when they are seen in the wild. 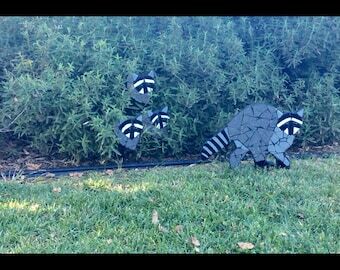 My sculptures bring nature, color, conversation and year round enjoyment to any environment.